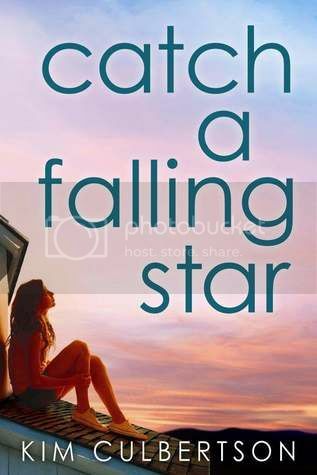 I was originally drawn to Catch a Falling Star by its gorgeous cover. Then I read the synopsis and knew I had to check this book out. It was a really fun book to read! Carter Moon loves her small town of Little, California. Day to day life is quiet and normal, until movie star Adam Jakes and his Hollywood crew arrives to shoot his latest movie. Then everything changes in Carter’s world. The main character in the story, Carter Moon, was a very down to earth, girl next door kind of girl. She wanted nothing more than to live her life in her small town and work at her family’s café. She loves her family, friends and she really cares about the people in her small town. She’s definitely not one that is swayed by the ways of Hollywood. She’s definitely not one that is swayed by the ways of Hollywood. However, she’s not without issues of her own. Issues that force her to have to do things she really doesn’t want to do, like pretend to be Adam Jakes girlfriend. I found Carter to be very relatable character. I wasn’t really sure what to think about Adam Jakes, the actor that is in Carter’s small town filming his movie. Being an actor, he had so many ‘faces’ that he had to put on for people. While this is understandable, it was really hard to connect with him at times. But the times when he showed his true self, those times were really nice. I liked that, over time, they really seemed to bring out the best in each other. One thing I always love when reading YA books, is when the characters have really awesome parents. Carter’s parents were so great, and they really loved their daughter. She also has two really great best friends that were always there for her when she needed them. I really loved all of these characters. The storyline for the book was really cute, and made for an easy read. The romance in the book was very light, but still sweet. I really enjoyed that while it was a fun read, it still had some very realistic issues that the characters had to deal with. So not everything was super perfect, and that made the book feel more realistic. Overall; I found this book to be a really fun read. The summer theme would make it a fun book to add to your summer reading list, but don’t wait until the summer to check it out. I always like the Hollywood star comes to town, falls for average townie stories. Plus, summer read! Woo-hoo!